IFSPT Member Organizations choose which option for subscription they wish to offer their members. Some provide a subscription as a member benefit. Some offer IJSPT subscriptions as an optional benefit. Others connect members to the link to a reduced-rate subscription offer through the SPTS website (link above). 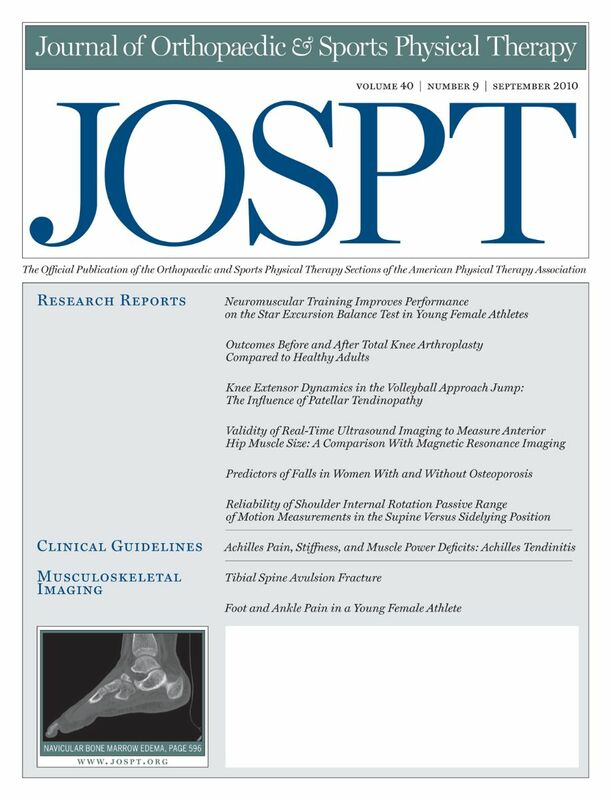 The mission of the Journal of Orthopaedic & Sports Physical Therapy is to publish scientifically rigorous, clinically relevant content for physical therapists and others in the healthcare community to advance musculoskeletal and sports-related practice. 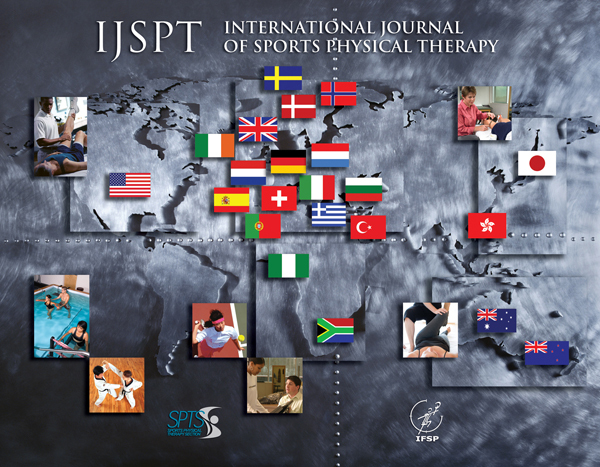 Published since 1979, JOSPT seeks to offer high-quality research, immediately applicable clinical material, and useful supplemental information in a variety of print and digital formats. The monthly JOSPT is the official journal of the Orthopaedic Section and the Sports Physical Therapy Section of the American Physical Therapy Association (APTA) and a recognized journal of 38 professional organizations in 27 countries. 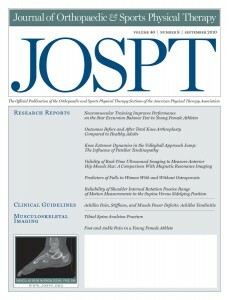 JOSPT is indexed in Index Medicus (PubMed-MEDLINE); ISI's Current Contents: Clinical Medicine, SciSearch, Science Citation Index, ISI Alerting Services, and Focus On: Sports Science & Medicine; Research Alert; Excerpta Medica (Embase); Cumulative Index to Nursing & Allied Health Literature (CINAHL); Physical Education Index; and Physiotherapy Index. The Journal’s current impact factor is 2.55; its 5-year impact factor is 3.54. Online and print discount memberships are available for IFSPT member organizations and individual members. For further information, link here. To obtain a discounted subscription, contact JOSPT Executive Director/Publisher Edith Holmes at edithholmes@jospt.org. More information may be found at this link.